Maya Markovich, Attorney & Head of Product at Nextlaw Labs. Nextlaw Labs is one of the leading legal technology and innovation consultancy ventures, and a subsidiary of global law firm, Dentons. Prior to joining Nextlaw Labs, Maya practiced as an attorney before successfully pivoting to legal tech where she combined her legal, psychology, marketing, tech and product management experience into an innovative role in the ever-changing landscape of legal technology. Describe your legal background and your current role today. I attended UC Hastings law school in the middle of the first Silicon Valley tech boom, and practiced for several years in commercial litigation. I eventually left the practice of law and made the leap over to the tech side, targeting various angles of the business and practice of law in product management and marketing roles. In my current role at Nextlaw Labs my official title is Head of Product, but it has come to encompass much more. On any given day, I might be vetting potential investments and portfolio startup acceleration, co-developing and launching new solutions, consulting with Dentons clients on their key legal workflow challenges, engaging in strategic planning with global practice leaders to define and execute their practice innovation strategies, or simply staying on top of the rapidly expanding global legal tech landscape. What inspired you to pursue your current career? Prior to attending law school, I completed my master’s degree in psychology with emphasis on organizational and social psychology, focusing on how groups in various settings influence each other and work together. I then worked for a while in change management consulting, conducting onsite client organizational effectiveness analysis and developing targeted plans to support project implementation-- including everything from communication, coaching plans, training, and overcoming resistance-- geared toward maximizing engagement, driving faster adoption and higher proficiency in new workflows or systems. The field of legal innovation wasn’t something I’d ever considered - because it didn’t exist. Nextlaw Labs was the first initiative of its kind, and the leaders found me just as it was launching. I immediately recognized I had the chance to bring together all the threads of my past experience - psychology, change management, tech, marketing and law - in a unique role. It’s a huge opportunity to be part of creating meaningful and substantive change in the legal industry. Name one movie, song or book to describe your career. “Wake Up Everybody” by Harold Melvin & the Blue Notes with Teddy Pendergrass. It’s how I’ve always felt: we all need to take the initiative, bring people up with us, and move ahead together. True change will come when we all pull in the same direction to get there. How has your legal education/background shaped the way you perform in your current career? While practicing law, I often found myself in exhausting and chaotic situations, trying to figure out how to deploy and maximize the use of tech to streamline discovery and other workflows. I became really intrigued by the power of technology to improve results for clients, make life even incrementally easier for attorneys and case teams that were often overstretched. And more expansively, I have come to understand how tech can be leveraged to address the enormous and growing disparity between those who need legal assistance and those who can afford it. Also, I realized that while I wanted to have an impact in the world of law, the partner track was not the path forward for me - I wanted to do something broader and more balanced. As my husband and I built our family and life together, different priorities came into sharper focus. My post-practice career took off just as we had a newborn and a 2 year old, and my husband became the primary caregiver to our two young sons while managing his own freelance career. My path empowered him to be a fully engaged parent, something that was critical for my career, our kids’ development, his own career and what we both came to see as an important step towards greater consciousness of shifting roles across our culture at this moment in history. What lessons learned or unexpected challenges did you face in your current role? The day-to-day reality of innovating within the legal profession requires selling a 16th century guild on the benefits and mandates of the 21st century. Future-proofing a tradition-rich industry designed to stand on precedence is difficult and messy - that’s just the nature of the work. We’re pushing purposefully toward an unknown destination, intuiting trends and direction, drawing on lessons from more mature industries, but there’s no map to where we’re trying to take the practice of law, and it takes a lot of finesse on the people side to encourage enthusiasm for change. Failure is part of the journey to success. It must be welcomed as an opportunity to refine your approach, but it can be challenging to communicate this ethos to investors and stakeholders who are expecting return on investment (ROI), not to mention risk-averse attorneys in the trenches. It's all about finding new, more productive and constructive ways to work and think, outside preconceived notions. What advice would you give to those career pivoting or pursuing a career beyond the practice of law? People often leave the practice of law for negative reasons - burnout, constraints, hierarchy - and for another career just because it’s different from their current situation, without giving much thought to leveraging the valuable experience they’ve gained from being a lawyer. Instead of an ‘escape’ approach, consider the positive aspects of your legal career, as well as what drew you to it in the first place. Parse those out and think creatively about how they could be applied differently in another sphere. Lawyers excel at critical thinking, communication, problem solving, providing guidance, and persevering in the face of ambiguity or setback. What parts did you like best? Go in that direction. Apply those well-honed skills differently. Engage them to evaluate your options, sort through them and pursue a path that is both personally and professionally rewarding. Try to take every opportunity offered, even if you think you’re not quite ready for it. Doing things for the first time is challenging, but leads to professional growth, emotional intelligence, and can be kind of addictive. What is your personal motto, mantra or favorite quote? Maya Markovich is the Head of Product at Nextlaw Labs. 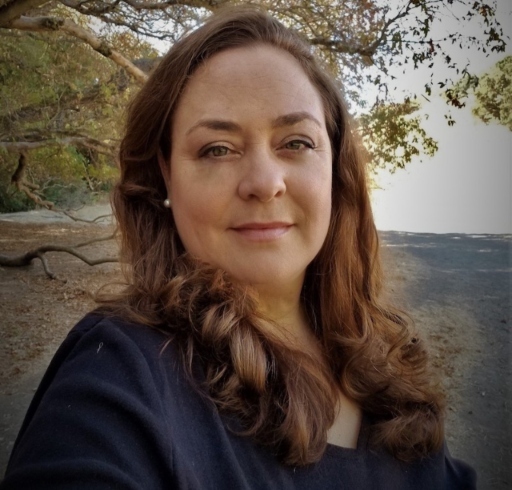 She also serves as board member for Legal Access Alameda, advisory board member for UC Hastings’ LexLab and OneJustice, and as mentor for LegalGeek Women in LawTech, supporting legal tech initiatives to improve access to justice and the future of legal education. To learn more about Maya, legal technology & innovation advisory, check out @nextlawlabs on Twitter.